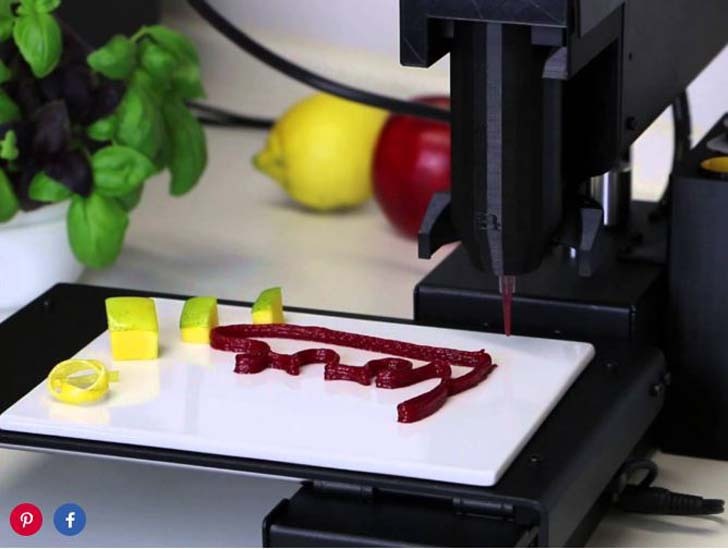 A close-up of Bocusini 3-D printer creating food on a plate. If you’re tired of preparing dessert, you’re not alone. Bocusini, a 3-D food printer that prints mini skyscrapers and castles out of edible marzipan, could be the personal chef you’ve always wanted. And if your food funk doesn’t stop with desserts, don’t despair—Bocusini also prints appetizers, side dishes, and more. [post_ads]Food-tech enthusiasts, who share their recipes on the company’s website, have printed creations ranging from potato puree octopuses to turtle cookies, and from marzipan pumpkin faces to a meringue mouse. The 3-D printer can be purchased for roughly $2,200 and will ship in August 2016.